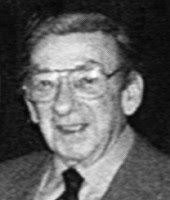 Stanley Black OBE (14 June 1913 - 27 November 2002) was an English Bandleader Composer conductor, arranger and pianist. He wrote and arranged many film scores and recorded prolifically for the Decca label (including London and Phase 4). Beginning with jazz collaborations with American musicians such as Coleman Hawkins and Benny Carter during the 1930s, he moved into arranging and recording in the Latin American style and also won awards for his classical conducting.